Once you have the smile of your dreams, the next step is to focus on preserving it. Apply touchups – Once you receive your custom trays, you can use them for life. When you’re in need of a touchup, you’ll just visit your cosmetic dentist to get a refill of whitening solution. By properly caring for your teeth, though, you’ll only need a touch-up once annually. Practice excellent oral hygiene – Brushing and flossing your teeth at least two times a day not only factors into your oral health, but it also helps to prevent staining and to maintain your teeth whitening results. Avoid certain foods and beverages – Another key factor in maintaining your smile results is to limit your consumption of foods and beverages like tomato sauce, wine, dark berries, coffee and tea. This is important to adhere to because the above listed items are some of the primary causes of re-staining. Every six months you should be visiting your cosmetic dentist in Toledo for preventive care, but that isn’t just for cavity and disease prevention; it also serves as a way to maintain your beautiful smile. That’s because while there you’ll receive a professional cleaning that will clear away harmful plaque and tartar that can contribute to future stains. With the help of your dentist in Toledo, you no longer have to run from photos or shy away from face-to-face conversations, because you’ll have the smile of your dreams and an avenue to maintain it. So reach out today to start a new life! With an undergraduate degree in Medical Technology from Michigan State University and a D.D.S. degree from Case Western Reserve University, Dr. Richard Thomas is able to offer his patients top-notch care using state-of-the-art equipment. To provide the best in cosmetic dental care, he has also received advanced training from the prestigious Las Vegas Institute for Advanced Dental Studies. 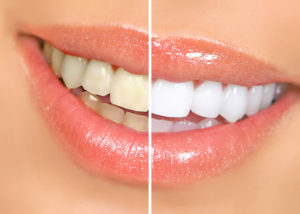 Dr. Thomas helps patients achieve the smile of their dreams with professional teeth whitening at Dental Group West, and he can be reached for more information through his website.